her grandmother had passed away from Alzheimer’s, and two of her aunts suffer from the disease. The hospital found these reasons insufficient under its exemption policy, and fired Ms. Rhodenbaugh. She was initially granted unemployment benefits by the Kansas Department of Labor, but when the hospital appealed the Kansas Employment Security Board of Review overturned the decision, and the district court upheld this. Two years ago a New Jersey court of appeals, on very similar facts, relied on the federal constitution to award a nurse seven weeks of unemployment benefits. 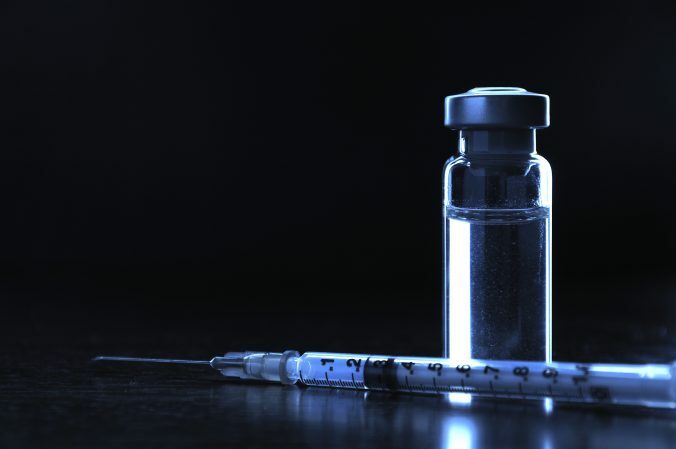 The Valent court found that if a hospital provided a religious exemption, it cannot discriminate against people whose opposition to vaccine is not religious. It also found that the existence of exemptions suggested there was no strong health reason not to exempt Ms. Valent. I analyzed and criticized that decision here and here. The Kansas court took a different approach. In both cases, the focus was on employment law, and whether the refusal to get a flu vaccine was misconduct. The standard was pretty similar in both cases as well. The New Jersey law found violating of a reasonable rule of the employer to be misconduct. Examining these requirements, the court found that requiring an influenza vaccine is certainly a safety rule, based on testimony of a staff physician and hospital officer that it was adopted for lessening the risk of flu and for the health and safety of patients and hospitals employees. It found that Ms. Rhodenbaugh knew of the rule, and that the rule was lawful – there was nothing in Kansas or federal law preventing it, and the exemptions mirrored Kansas’ exemptions from school immunization requirements. The decision therefore provides strong affirmation of the reasonableness of the influenza mandate as a safety rule. Finally, the court addressed the claim that was determinative in Valent, Ms. Rhodenbaugh’s argument that if there are exceptions, and those fulfilling the exceptions need only wear a mask, it violates consistency and fairness not to give her permission to wear a mask instead of getting the shot, since she had good reasons to refuse the shot. In other words, it’s up to the employer which exemptions to give. As long as the employer fairly and consistently enforces the exemptions it does provide, it can choose whether or not to offer them (as mentioned in my post regarding Valent, I would recommend that employers not provide a religious exemption, which is vulnerable to abuse by employees less honest than Ms. Valent and Ms. Rhodenbaugh). The take home is that the Kansas Court of Appeals gave employers broad discretion to require a flu shot and determine the exemptions from it. An employee opposing the policy may not only lose her job, but may also lose her unemployment benefits. A big issue in the Kansas case was the question of venue. The district court transferred the case from Ms. Rhodenbaugh’s place of residence to Shawnee County, where the Board was based. But while of substantial interest to those of us interested in procedural matters, it’s unlikely to be of interest to those whose focus is vaccine law and policy. The short version is that the court acknowledged that the transfer of venue was in error, but found the error harmless, not to the plaintiff’s disadvantage. Finally, while it’s good to have a ruling that clearly states that a rule requiring influenza vaccination is a reasonable health and safety rule, and it’s good to see the employer’s broad discretion to grant exemptions or not were reaffirmed, it’s troubling that the employer, after already firing Ms. Rhodenbaugh, also refused her the cushion of the few weeks of unemployment benefits. The transition from a job is hard enough, and frankly, compared to most advanced democracies, the United States offers a very meager safety net. Absent extreme wrongdoing, depriving the employee of this small support during the transition seems petty. The employer is within its rights legally, but it’s ungenerous.